Come September 1st, you may have some plans. That doesn’t mean your penultimate summer days of rest have to be a fun desert, Go Go’ers. Starting Friday, the weekend is wall-to-wall music for every persuasion. presented by Kala Koa Entertainment. Your fingers will be tired just watching these guys. 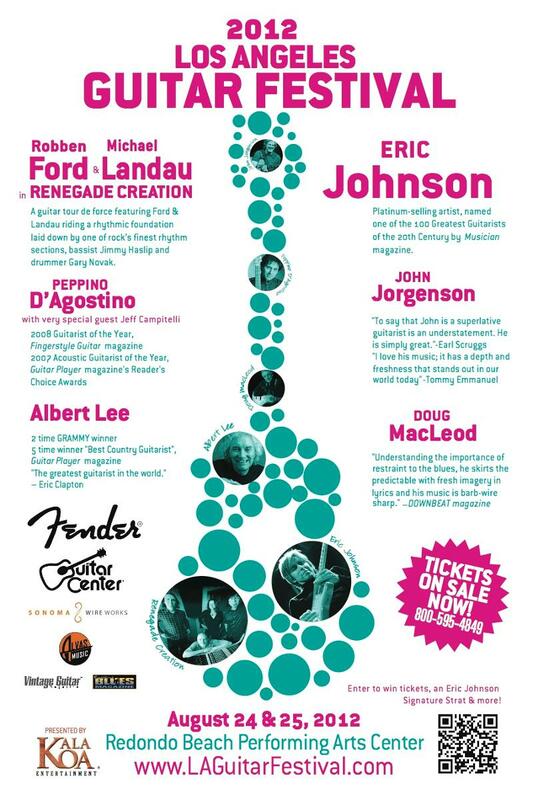 Grammy winner Eric Johnson (Cat Stevens, Carole King) headlines Friday’s lineup at the Redondo Beach Performing Arts Center along with Albert Lee ( Eric Clapton, Bo Diddley). And yes, mockumentary fans, the latter played with the legendary Spinal Tap. Day Two is anchored by Renegade Creation: the super group of guitarists Robben Ford (Miles Davis, John Mayall) and Michael Landau (albums for Joni Mitchell, James Taylor, and B.B. King are among the 900+ that he’s played on). Gypsy jazz artist John Jorgensen (Elton John, Bonnie Rait), Italian virtuoso Peppino D’Agostino, and “storytellin’ bluesman” Doug MacLeod round out the second night. Basically, the best Fender Bender ever. 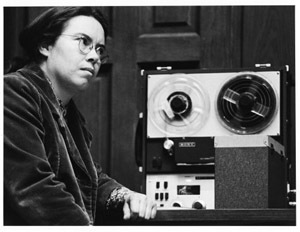 Once upon a time, giant tape machines hulked in offices and intrepid women and men tamed them and brought forth unusual music and beautiful noise where there were once only words about projected growth and pork belly futures. There are still pork bellies but sadly, the tape concerts are rare. So hurray for SASSAS (The Society for the Activation of Social Space through Art and Sound), which brings the music of these tape tamers out of the shadows and into WeHo this Saturday, August 25th with sound. at the Schindler House: Tape Music. Four rooms of the architectural gem will host rare, reel-to-reel tape concerts with new pieces by composers William Basinski and John Wiese, historic compositions by early pioneer Pauline Oliveros and the collaborative duo of Jim Shaw and the late Mike Kelley, as well as selections from Gary Todd’s Cortical Foundation: a now-defunct label that has a collection of for-tape compositions that Todd rescued from garages and attics. Go Go’ers, do not try this with your skaggy, cast-off, boy band cassettes. 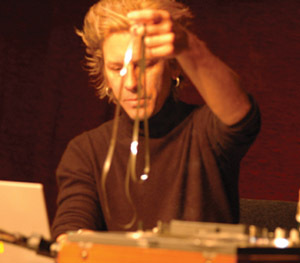 If you want to learn old skool tape skillz for realsies, though, check out the event-related, special edition of the free, monthly SASSAS soundShoppe this Sunday, August 26th at Center for the Arts, Eagle Rock. The unstructured workshop/jam for experimental musicians and sound artists will feature a demonstration of looping and cutting. Come to think of it, you’ve always wanted to create a whole new Menudo/Boyz II Men sound. Go Go’ers, there are all kinds of music in the world and the best makes your pulse pound and your heart race. There are, of course, other things in life that have the same effect. YOU know what Ms. Go Go is talking about…. Here, though, the pulse pounders are poetry and spoken word, which are becoming rock star hip these days with poetry slams and raconteur evenings and storytelling salons and now, the Poetrypalooza Concert Tour. You can never have too many paloozas. The Grande Finale of the twelve stop tour goes down this Sunday, August 26th at DTLA’s The Last Bookstore. 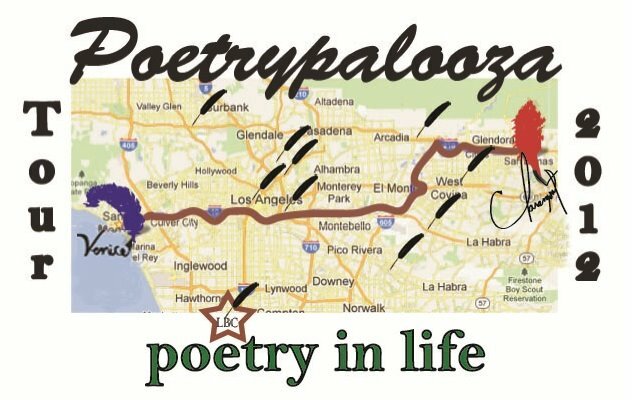 Hosted by ZZyZx WriterZ and Jessica Wilson, founder of Writers Row (the poetry component of the DTLA Art Walk), the 2:00 to 6:00 p.m. event will feature poetry readings by forWord Collective, which will also lead workshops along with Wilson. No artistic slackers here; the afternoon’s a full-on cultural extravaganza with performance art, visual art, art raffles, and music that’s played, not spoken. You may be familiar with the latter. There will also be some groovy food trucks there starting about 3 hours prior to the show both nights: Ragin Cajun, After School Special, Macho Nacho, Philly Please and Maui Wowi – plus Hula Girls Shave Ice! Thanks for the update, Mitch! Clearly, Redondo Beach Performing Arts Center will be a food feast as well as an audio feast!